The surprising news about Senator Sherrod Brown’s potential campaign for president is that George Will, the right-wing columnist, wants him to run. Really. No kidding. When I first read Will’s column in The Washington Post last month, I assumed he was doing his usual bit to smear promising liberals and paint them red. His arched-brow ridicule is sometimes all it takes. This time Will brought up memories from the 1930s of Socialist candidate Norman Thomas and playwright Clifford Odets, author of Waiting for Lefty. That’s enough to inflame the fears of frothy right-wingers. It could also insulate Will from right-wing recriminations. But never mind. On my second reading of his column, I realized that Will greatly admires Senator Brown the politician. 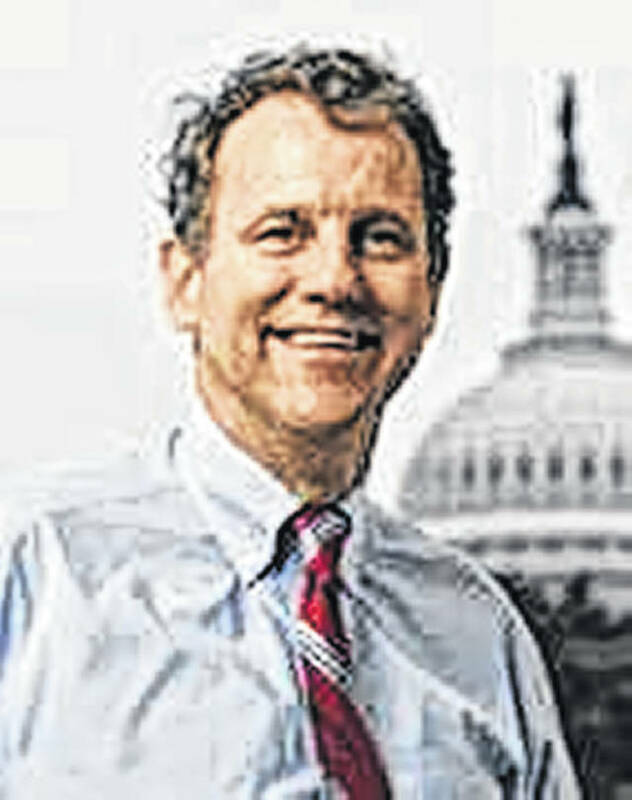 Will even asserts that in the age of Liar Trump, Sherrod Brown could prove to be the Democratic Party’s strongest and most appealing nominee. If only he weren’t so darn liberal on issues like worker rights and free trade and Wall Street’s monopoly banking. It makes me feel a little wobbly to find myself on the same page with Comrade Will. But I confess to nurturing my own wishful parallel about Sherrod Brown running for president (he is currently pondering the decision), because he could help restore the Democratic Party and and reshape America’s role in the global trading system. Both were systematically taken apart by corporate power during the Clinton-Gore-Obama years. Senator Brown knows the story in detail, because during the last generation he was nearly always in the middle of the fight—resisting the corporate capture that reshaped the global trading system and liberated big banks and manufacturing from prudential rules that used to limit their plundering. Other potential candidates embrace similar commitments for reform, but Sherrod Brown knows where the bodies are buried. The auto industry gave him a hard reminder recently when General Motors announced layoffs at its assembly plant in Youngstown; at the same time, it’s ramping up production of the same auto line in Mexico. Forget the nice people in those car ads. This is industrial hardball. Let’s hope Senator Brown decides to join the White House contest, if only to show other Democrats what they need to know about government and society and how to deliver. He and I go back a long way—to the early 1990s, when Brown was first elected to the House and I was writing for Rolling Stone. He showed up one day at my office, promoting revival of the activist party. We didn’t exactly become buddies, but I found a high-road tutor in real-life politics. The subject: how a politician hangs on to principles in a system that rewards people for selling them out. Politicians like Sherrod Brown lose lots of times, maybe most of the time. But their virtue shines through muck and disappointment. The ambitious ones can pull the party along with them and persuade others to take larger risks. Senator Brown’s reform efforts may have the greatest impact on Wall Street, since he is ranking Democrat on the Senate Banking Committee. I asked his staff to name some trillion-dollar loopholes he is targeting. They sent his recent testimony. President Trump is directly implicated in the new threats to middle-class stability, because he personally promoted huge corporate tax reductions. As Brown argues, Congress should now repeal this stinker to rescue the economy from another crisis. In contrast, the company could invest in its productive efficiency—the workers and plants that add to the bottom line. Why invest in the guys who are leaving? That is the debate that divides the nation. Which side is the country on? I asked an old insider to assess Brown’s appeal among grassroots Democrats. He gave me a one-word answer: authenticity. The senator is the real deal, with reforms in mind for Wall Street and the tax-dodging corporate balance sheets and the restoration of fair treatment for working people. And much more. Whoever wins the White House next year, it better be someone with strong ideas for reform and revival. Otherwise, the Democrats will be torn apart, just as the Republicans were. Who knows, maybe this will be Sherrod Brown’s turn to drain the swamp. Only, unlike Trump, he won’t set out to undermine public service. He’ll work to clean out the private interests that infest and feed off of the state.